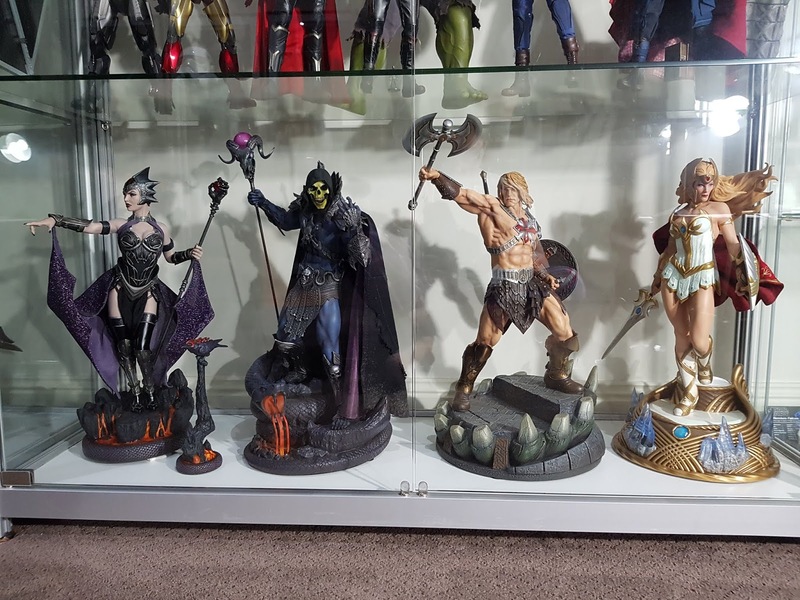 I've loved the previous releases by Sideshow in this Masters of the Universe statue series. The new aesthetic is a nice interpretation on these cartoon characters, blending the iconic 80s features of the characters whilst giving a more mature style for today. I thought the prototype of She-Ra looked fantastic, and overall the final production version is pretty close. Click through below to check out my full video review over on the Kool Kollectibles YouTube channel. Hope you can give the video a thumbsup and subscribe to the channel too! 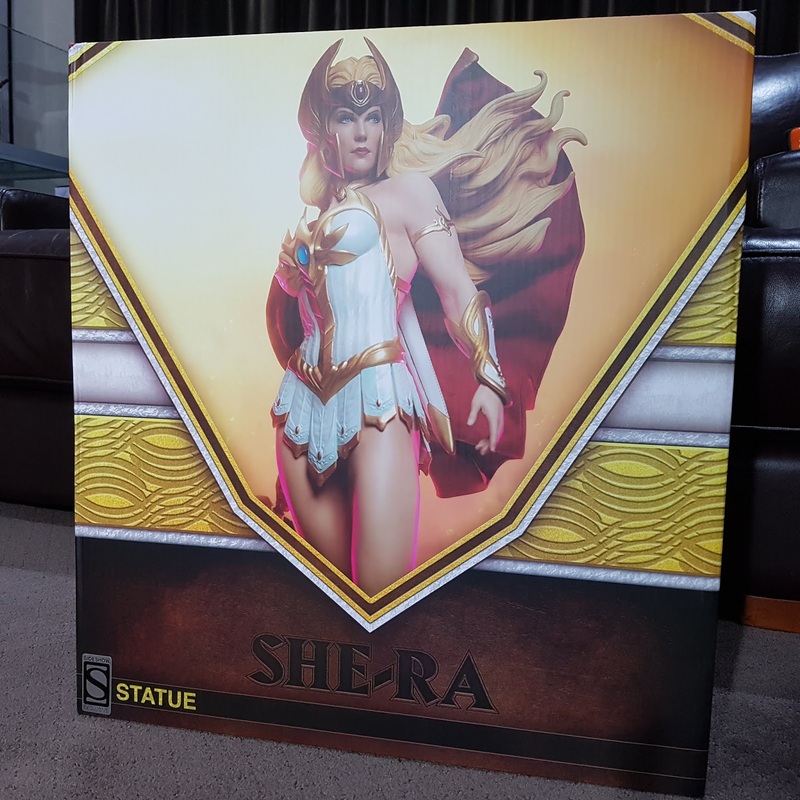 The box art comes in the same style as the previous statues, with nice photos of the prototype. 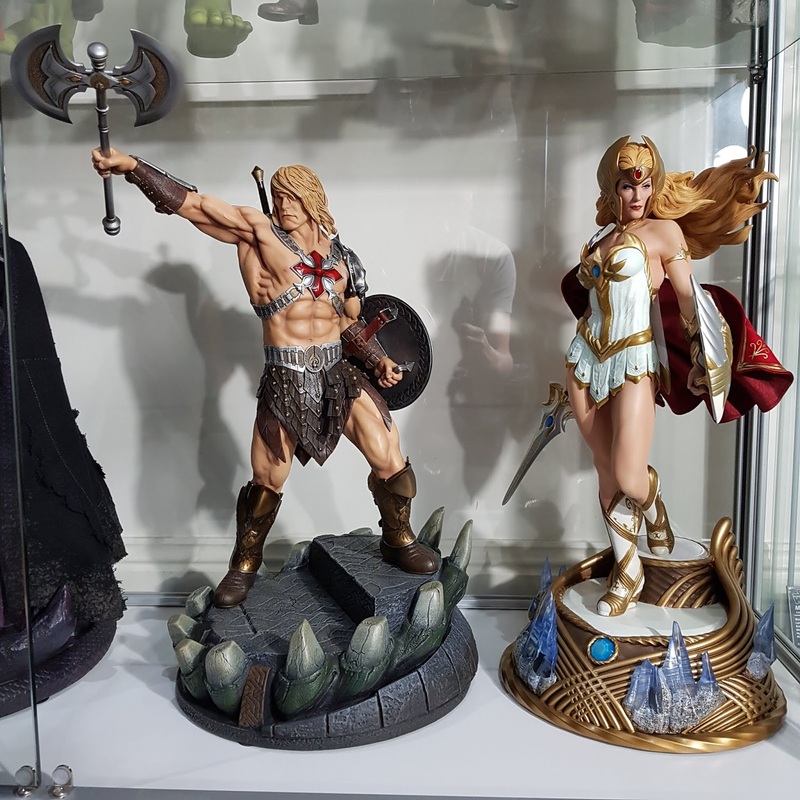 It's always good to use those pics to compare the final production version and see if there are any major differences. For this one, there are a couple of minor tweaks to the head sculpt to change the facial features slightly. Everything is packed in foam nicely. I got the exclusive version which comes with the additional swap out left arm holding the shield. This is a pretty nice exclusive accessory to differentiate it from the standard arm. The shield itself looks pretty nice, and the paint application is decent. As I mentioned, the head sculpt is tweaked from the prototype. I think the prototype version had fuller and softer features. The final version has sharper lines and seems a fraction more elongated, giving it a more Amazonian-warrior look. I think both sculpts are nice, and this stronger look is equally appropriate for the warrior princess. The main issue I had with my head sculpt was the helmet or cowl. It doesn't sit quite perfectly centred on her face, so the side pieces down her cheeks aren't quite symmetrical. They are a softer plastic so there's a bit of play to move them, but it would've been nice if they had centered it perfectly when glueing that helmet piece on. The sculpt of the body is great, and captures her beauty and grace pretty well. The flowing hair, and ability to bend the wire in the cape to match the flow in the wind is nice. The shoulder pauldron piece that clips the cape to the body is a little fiddly, but once connected properly it does a pretty good job in keeping it together. Just take some time folding the cape in a realistic manner and it'll look great on display. Mine isn't quite as good as I would want, but I've left it for now. I'll adjust more once I swap out the replacement shoulder piece. I got a replacement since the paint app on mine was scratched up. Sideshow have sent me a new one, but I haven't had the chance to change it up yet. The skin tone over the body is even and consistent. There's not too much in terms of skin texture though, so a bit of subtle freckling would add a tad more realism to the paint application. One problem I did find with the paint app was around the white parts of her dress. Particularly towards the hem, the green tinge of the underlying body or paint layer shows through, giving parts of the dress a greenish, almost corroded look. I don't think this was intentional, and I've seen photos on the forums of statues with far worse green than mine. 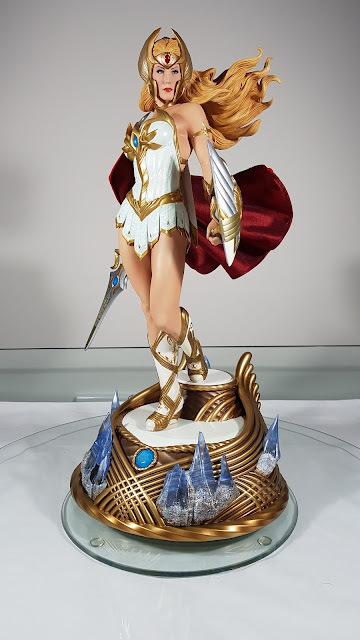 For She-Ra, her dress should be a bright white with perhaps a bit of weathering. But I do think the green is just a QC issue where sufficient white paint was not used to hide the green underneath. 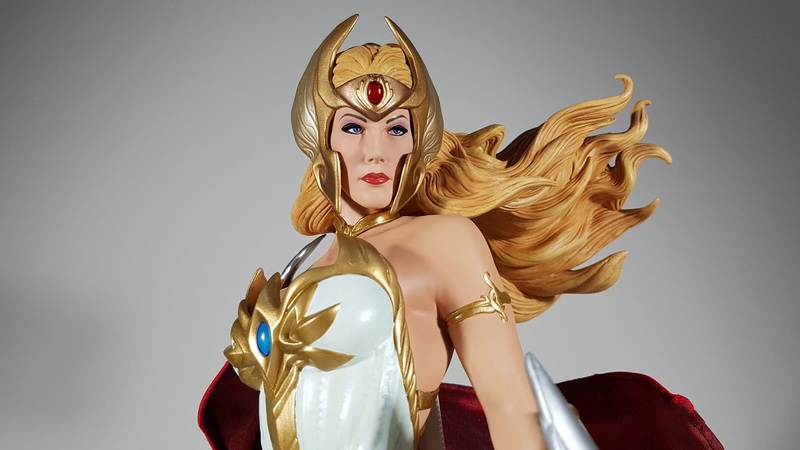 Overall though, I think Sideshow have done a pretty good job with She-Ra. She complements He-Man and the others well with this style. The base of course sticks out from the rest, but that's to be expected of the Crystal Castle. The transluscent parts perhaps could've been done to look less plasticky, as well as the jewels on the sword and shield, but they're not too bad in the scheme of things. 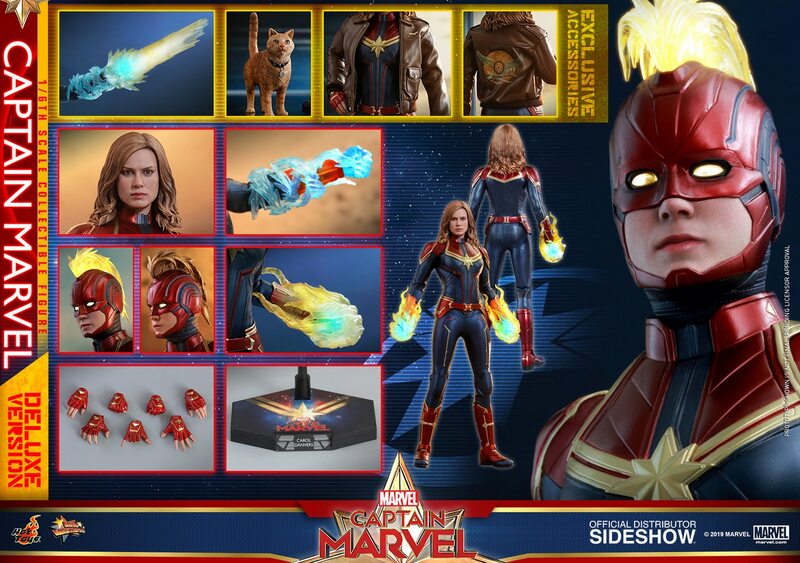 I'm hoping that Sideshow announce more characters in this series. I really hope others from the core cast, such as Sorceress, Man-At-Arms, Beastman, Merman etc are all made. They would look fantastic in this style. Orko is up next though, and has been delayed until around September. I'm hoping that turns out great too!